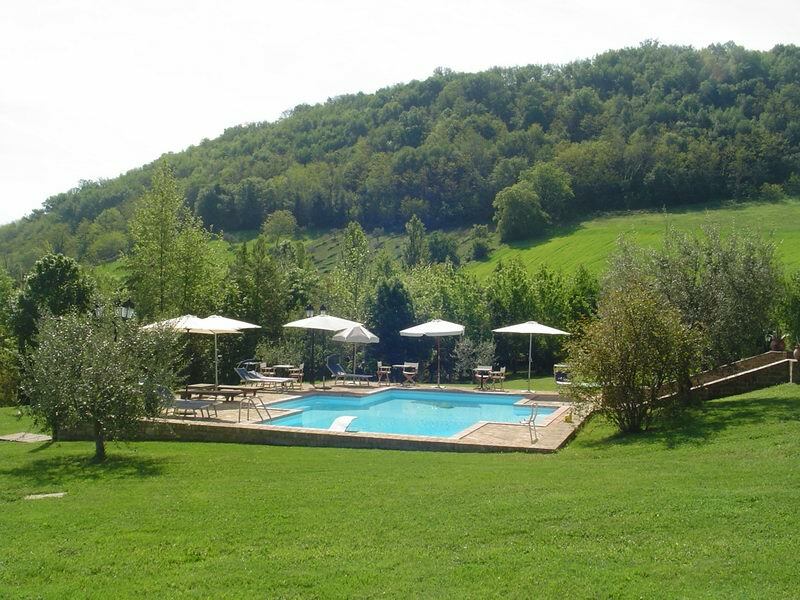 The old Borgo and the Villa were totally restored in 2005 and opened as an “agriturismo”. 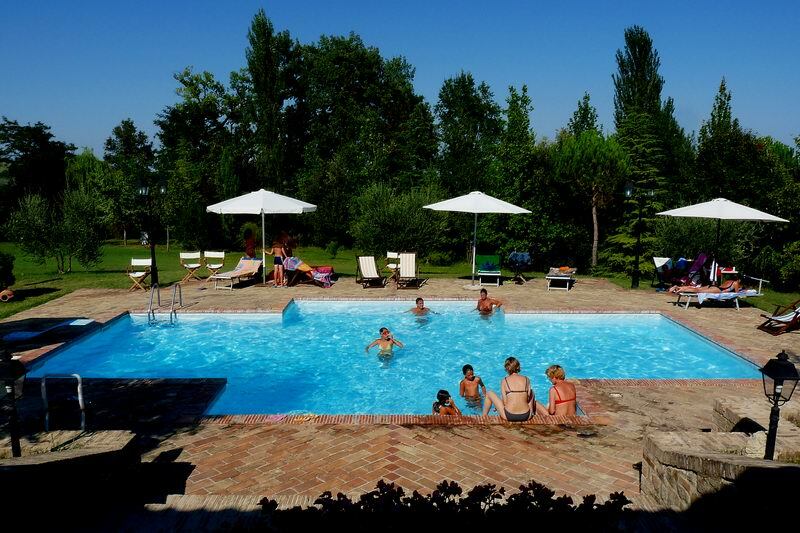 The Borgo consists of 4 2-bedroom cottages, dating from the 19th century, a swimming pool, park, woods and barbecue area. 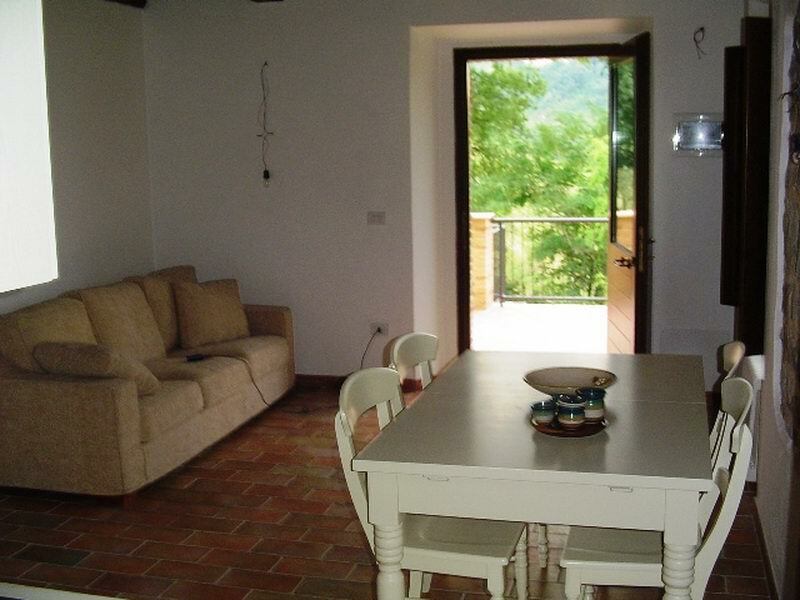 The Villa has 5 apartments, 1 dependance, with a swimming pool, car park, woods and barbecue area. The restaurant has a traditional Marchigiani cuisine, using only the finest home-grown, seasonal organic produce. Vegetables and bruschette with t extra virgin oil of the farm. Salamis, chesses andhome made jams form part of mounth-watering “antipasto”. The “pasta” is home-made, using traditional recipes. 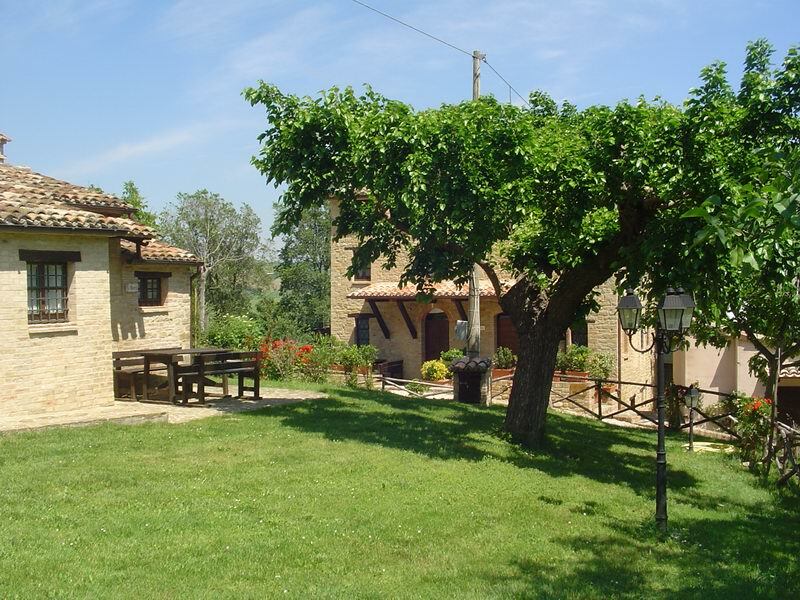 The complex consists of 4 rural houses from the 19th century, formed a small village. 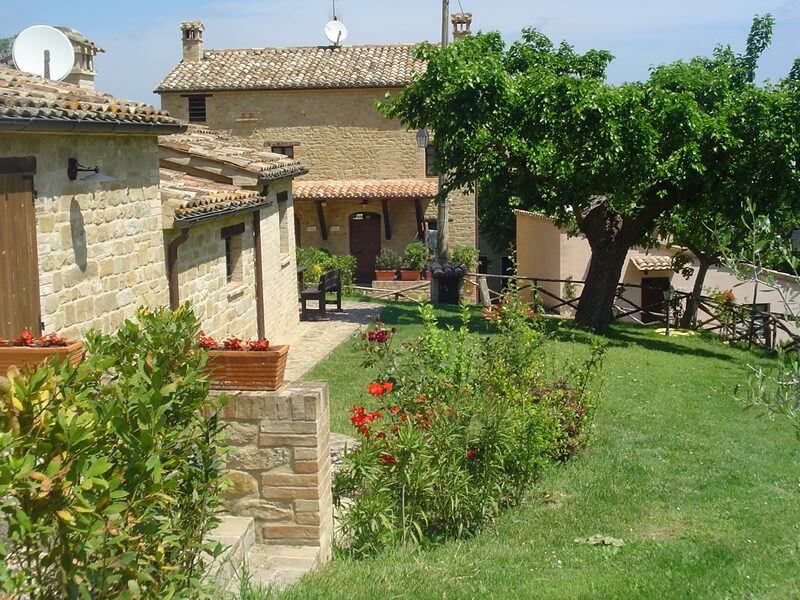 Each houses was restored recently and carefully with materials of that period, equipped with fireplace and terrace, The guests have a disposition all services and comforts, needed to enjoy a peaceful and relaxing holiday. The Querca (6 people) – developed on one level, it includes 3 double bedrooms, bathroom, and a long corridor that opens into a living/dining room with kitchenette. The Noce (6 people) – developed on three levels, it includes 3 double bedrooms, 2 bathrooms, a living/dining room with kitchenette. 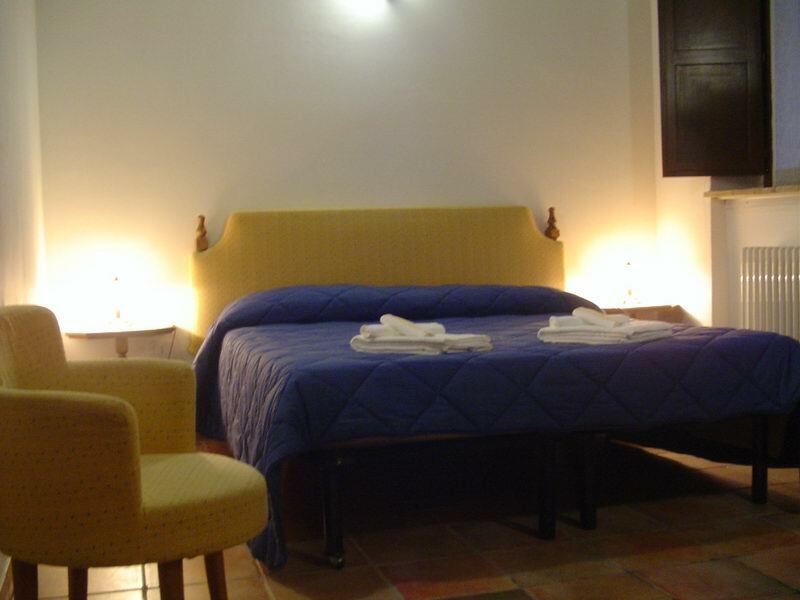 The Ulivo and the Ciliegia are two bedrooms with bathroom. The Acacia (4+1 people) – developed on ground floor with terrace, and includes 2 double bedrooms, 2 bathrooms, living/dining room with kitchenette and sofa bed. The Betulla (4+1 people) – developed on ground floor with terrace, and includes 2 double bedrooms, 2 bathrooms, living/dining room with kitchenette and sofa bed. 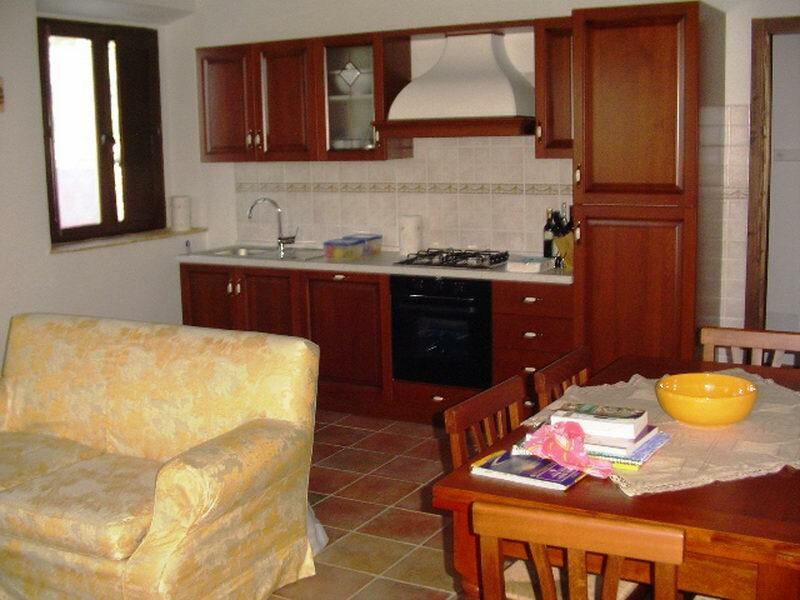 The Faggio (2+1 people) – develoved on first floor with terrace, and includes 1 double bedroom, bathroom, living/dining room with kitchenette and sofa bed. The Ginepro (2+2 people) – developed on forst floor with terrace, and includes 1 double bedroom, bathroom, living/dining room with kitchenette and double sofa bed. 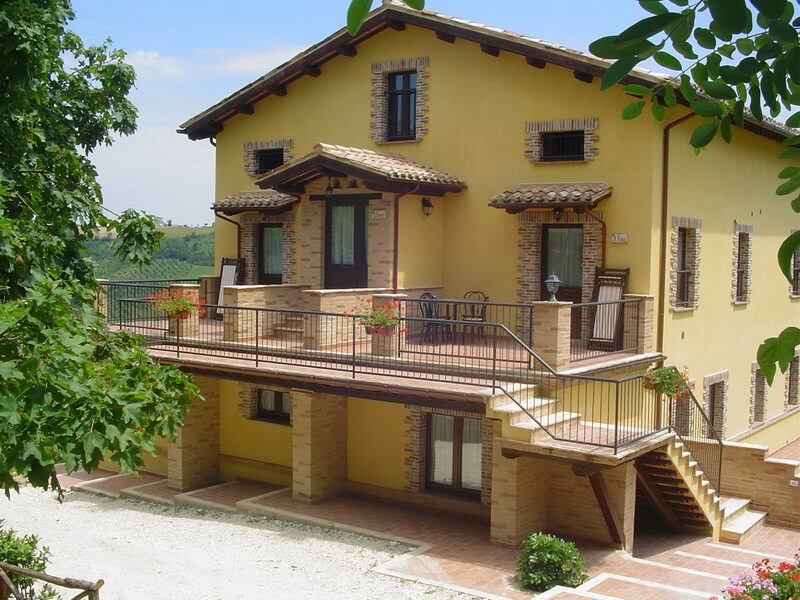 The Melograno (2 people, dependance) – developed on ground floor, and includes 1 double bedroom and a bathroom with jacuzzi. 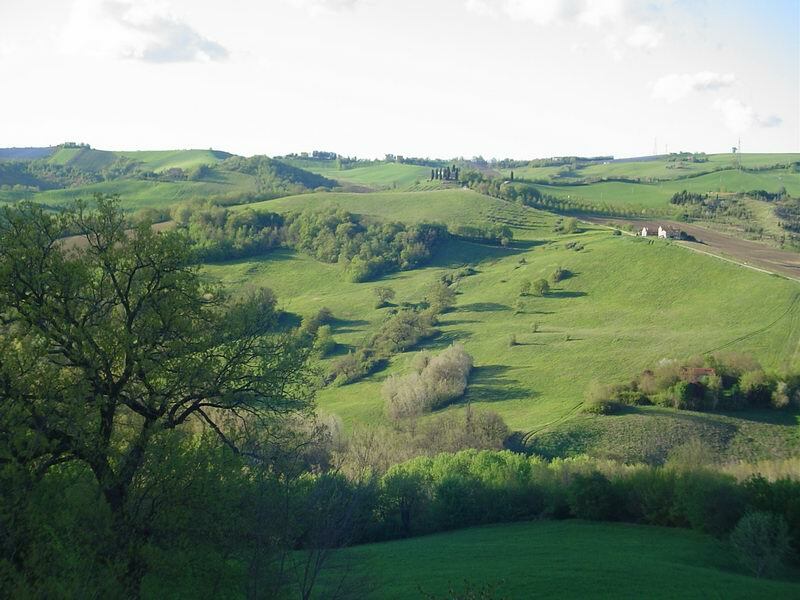 From Bologna : motorway A14, direction Pescara, exit Porto S. Giorgio; National rout SS210 follow the directions for Fermo, Servigliano, Amandola. After Piane di Falerone , before Servigliano turn right at the crossroad following the direction for Penna San Giovanni. Cod. Period “A” Period “B” Period “C” final clean.